Several week ago, I began watching the classic Doctor Who series. Several people told me I ought to watch the new series, saying I'd like it. So, I decided to watch the old series instead. I figured I'd watch a few episodes, get bored, and use that as an excuse to not watch the new series. Hasn't worked out that way. After a little bit, I became a fan of the show. The old show. Still haven't, as of this writing, seen any of the new series. And, until I actually start watching any of the new series, I don't know if I will. But, if I do, I'll have the complete backstory. I'm up to the last of the incarnations of The Doctor before the show was canceled. And, Season 25 is the next-to-last season of the classic series. This season was just plain weird. If you remember the 1980s, you know that was a weird time. If you have ever watched British TV, you know it was weird. So, 1980s British TV? Weird2. The season featured two of The Doctor's most famous opponents: the Daleks and the Cybermen. Remembrance of the Daleks (4 episodes) shows the destruction of the Daleks home world, Skaro, which was the setting for the serial that introduced them, Season One's The Daleks. Remembrance of the Daleks has several references to the first serial of the show, Season One's An Unearthly Child. It included action at Coal Hill School, where Barbara Wright and Ian Chesterton worked before they began traveling with The Doctor. Additional action took place at the I.M. Forman (sic) junk yard at 76 Totter's Lane, where An Unearthly Child had its opening scene. One character was expecting The Doctor to be an older, white-haired man. The episode took place in November 1963, on a Saturday, based on a scene that had a TV in the background, playing a BBC station break, that said "This is BBC Television, the time is quarter past five and Saturday viewing continues with an adventure in the new science fiction series Doc-" before the scene abruptly cut. 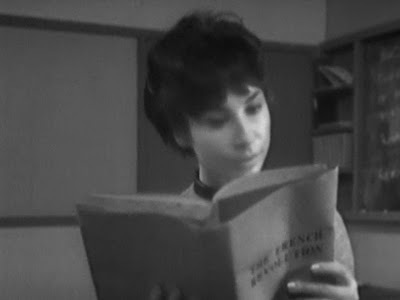 Also, Ace picked up and opened a book on The French Revolution, similar to what Susan did in the first episode of An Unearthly Child. November 23, 1963, in Season One's An Unearthly Child. Silver Nemesis (3 episodes) featured the Cybermen, who were responsible for The Doctor's death (and regeneration) in Season Four's The Tenth Planet. Silver Nemesis aired on the 25th anniversary of the very first Doctor Who episode, giving the "silver" an additional meaning. The show's silver anniversary serial also featured an appearance by none other than the most famous Doctor Who fan, Her Royal Majesty, Elizabeth II, Queen, Head of the Commonwealth, and Defender of the Faith. Okay, it was some actress who was made up to look like her. But I had you there for a second, didn't I? There were reports that the show runners attempted to get the Earl of Wessex (Prince Edward) to appear on the show. The royal family responded that it would not be appropriate. So, they made up some woman (Mary Reynolds) to look like the Queen, and had her out walking her corgis. The other two serials in the season were just plain weird. The Happiness Patrol (3 episodes) featured a lead female villain that was supposed to be a parody of Margaret Thatcher (yeah, more left-wing British TV stuff). It also featured pink-haired women running around killing people who were unhappy. And a walking ... thing ... made of candy that was the official executioner. Or something. The Greatest Show in the Galaxy (4 episodes) featured a galactic circus, weird clowns, a rapping ringmaster, a werewolf, and other such nonsense. Those wacky Brits. Yes, the one with the pink-hairs and the one with the clowns were weird. Just plain weird. But, the Daleks and Cybermen ones were okay. Kinduva mixed bag for the show's penultimate season. The classic series concludes with Season 26. Hulu and iTunes are locked and loaded. Are you planning to hunt down and watch the made for TV movie that's the only TV appearance of the 8th Doctor? 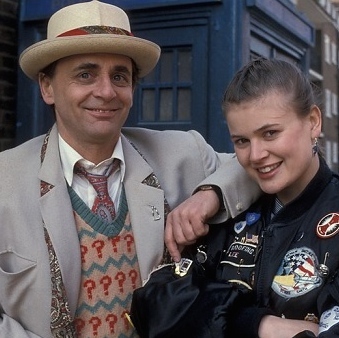 I did watch that when it originally aired on FOX, but all I remember is being a bit bored by it (and I came into it knowing nothing about Doctor Who). The Fox TV movie was originally intended to be a pilot to relaunch the series on American TV, but it was not picked up. It does feature Sylvester McCoy, who eventually regenerates into Paul McGann, and also features Eric Roberts as a Villain-I-Will-Not-Name (so as not to spoil any future Basil review of it). If you have not already seen it, Basil, you should check it out. It is considered part of the official Dr. Who Canon. After much consideration, I did buy the DVD of the movie. Didn't like to massive change to the TARDIS (even though, in the story, one of my "classic" Doctors, the Seventh, made the changes) or the idea of The Doctor getting involved with a companion (even though I'm sure he and Ramona had a thing, that was never alluded to). I finally broke down and watched the later episodes, finally catching up with the rest of the world earlier this month. Despite what I said about not liking the Eighth Doctor's character, when he did show up *SPOILERS* in the mini episode The Night of the Doctor, I was surprised and delighted. That brought a little something extra to the character, and I like the Eighth Doctor a lot more than I did. Since I'm not planning on tying in the later episodes, and this series of posts ends in a couple of weeks, I will say this, having watched them all (classic and current). My favorite Doctor is a toss-up between Patrick Troughton and Peter Davison. David Tennant is okay, but falls after William Hartnell and Jon Pertwee. Paul McGann was bottom of the list until that second appearance. He's still in the lower tier, but even the worst Doctor is a darn good Doctor. My favorite companions are, in order, Sara Jane Smith, Jamie McCrimmon, and Donna Nobel. Rose? Eh. Too needy. Plus, she shoulda ended up with Mickey, although I am happy for Martha. The current show is a little too much explosions and not enough story. And Daleks shouldn't fly. And I prefer this universe's Cybermen. I suppose the only thing I'm leaving out to make myself sound like an old fuddy-duddy is for you kids to get off my lawn. I know you've already written your summaries, but when you tackle the first "new" season in a few weeks, I hope you say something about the huge "9-11 Truther/no war for oil" two-parter. You know, the one that has a national landmark flown into by a vehicle that is supposedly an aggressive alien, but it's actually just a setup (can't tell what they're trying to say that it would be a pig) and the real villains are a bunch of obese farting aliens (read: Americans) who are trying to engineer a war by scaremongering about "massive weapons of destruction" because the economy is in recession. Ugh. Many episodes from the classic series were also advocacy for left-wing ideologies. The writer for Season 15's The Sun Makers was having a battle with the Inland Revenue (the UK equivalent of our Internal Revenue). In the story, it was a large company that was levying the taxes. I've suffered through many left-wing or just plain nuts ideologies in this quest.